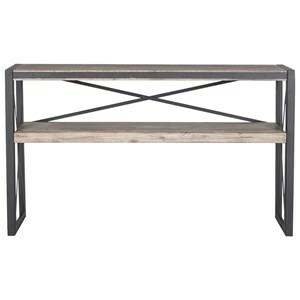 This stylish sofa table rounds out the coordinating occasional table and fits neatly behind your sofa or couch. 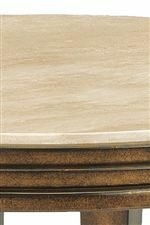 Its horizontal proportions make it an exceptional addition to your living room seating arrangement, and the rectangular Spanish travertine top provides ample space for lamps or decor. 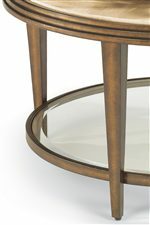 A steel base finished in a golden bronze supports the marble surface and includes a glass shelf suspended between four tapered legs. The Seville Metal Sofa Table with Marble Top by Flexsteel at Williams & Kay in the Anchorage, Mat-Su Valley, Eagle River, Alaska area. Product availability may vary. Contact us for the most current availability on this product. 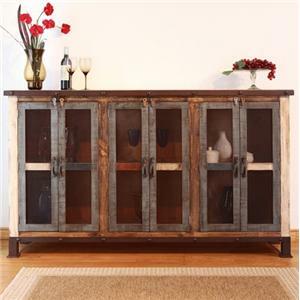 The Seville collection is a great option if you are looking for Contemporary furniture in the Anchorage, Mat-Su Valley, Eagle River, Alaska area. 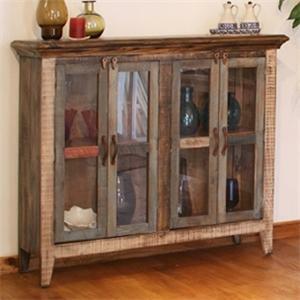 Browse other items in the Seville collection from Williams & Kay in the Anchorage, Mat-Su Valley, Eagle River, Alaska area.